Need a safe, clean, secure, and convenient place to store personal or household items, boat, RV or extra vehicle? 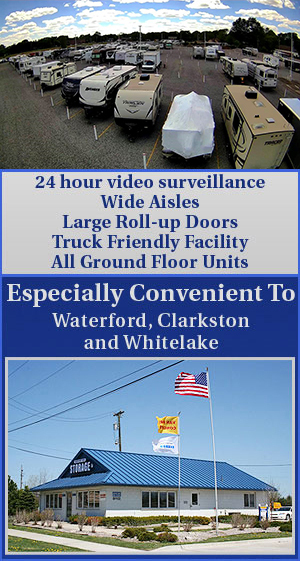 To be sure that your belongings are always kept safe, we offer video surveillance at all hours of the day and night. To be sure that you can always get to your storage unit, we offer wide aisles, all ground units and roll up doors.